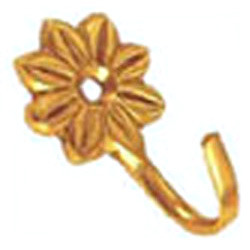 We have successfully achieved an unrivaled position in the market offering a qualitative gamut of brass drapery holders. These brass drapery holders are designed to perfection using innovative techniques and are also tested for efficient performance. We offer our range in customized form and package consignments as per the client order. The brass drapery holders available with us are intricately designed by our team of qualified engineers and are in high demand in the global market. These drapery hardware are durable, sturdy, precision engineered, dimensionally accurate and are offered in adherence to the designs and specifications of our valued clients. The designer drapery hardware are highly attractive and are intricately designed adopting innovative techniques and sophisticated machinery. 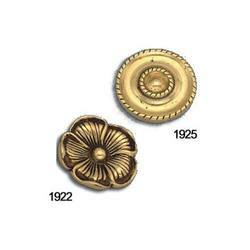 These designer drapery hardware are fabricated using best quality brass and other raw material by our team of professional experts and have helped us in achieving a broad client base with an unmatched quality. Description & Size : These sets comprise of: 2 finials, 2 brackets, pipes (Ø 16mm-110cm, Ø 19mm-110cm) and hardware packs. These are packed in a way ready to sell in vinyl polybags with headers. Also available in loose packing. We are offering our client an excellent quality range of Brass curtain finials. We offer high quality range of Curtain Bracket. It is manufactured using high grade of raw materials. We also provide our range in metals SS (Stainless Steel), white metal and iron. We offer it in different shades of various colors and with smooth finishing. It is manufactured and offered to the clients at cost effective rates. Our company is avidly dedicated to manufacturing and supplying of high quality Curtain Clamp. Highly praised for our supreme services, these enhancers are manufactured using paramount quality raw materials at extremely rational prices.